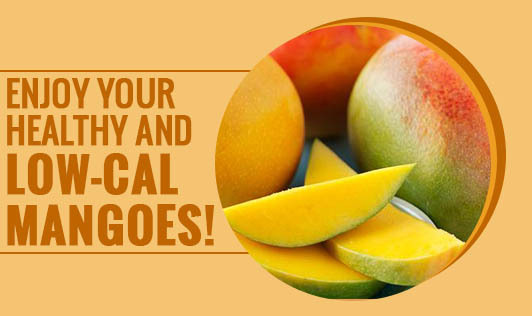 Enjoy Your Healthy and Low-Cal Mangoes! Many weight watchers consider mangoes as a forbidden fruit as it is high in calories. And, it is a myth! Mangoes are definitely not fattening when eaten in moderation. In fact, they are enriched with numerous health benefitting nutrients. They contribute to controlling blood pressure, managing cholesterol, maintaining fluid balance and relieves constipation. • Boil milk and immediately add lemon juice. Keep stirring till the milk curdles. Strain out through a cloth and what remains in the cloth is paneer. • Crumble the paneer and blend it while it is still hot. To this, add powdered sugar and mash it with your hands till it is smooth. • Divide it into 12 equal parts. • Place paneer in the centre of each mango slice and roll it such that the mango envelops the paneer slice. • Repeat for all the slices.